Our Belfast Airport Parking prices can't be beaten. 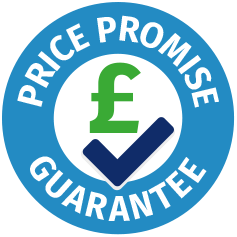 That's our price promise guarantee. You won't find a cheaper Belfast Cosmo Car Park price anywhere - they're unbeatable. What's more, we don’t charge any booking fees. Or credit card fees. Or debit card fees. All when you book direct with us. Now that's a result. Secure, Easy & Affordable Parking at Cosmo Car Park Near Belfast Airport. Best Price Guaranteed & No Booking Fees! Book Now With AirportParkingMarket.com Compare multiple Belfast Airport car parks in one search, book online and save up to 60%!